Yes. As is the small one on the very front of the carb down by the base plate. The little one that is above the passenger side idle mixture screw is ported. "I may be wrong, but I'm never in doubt"
Ten degrees BTDC is a nice place to start. We're just trying to get the car to idle nicely, and not leak, then we'll graduate to having it drive nicely. But, since you mentioned timing, of course your total "all in" timing is what's important. I think you have aluminum heads, like mine, and my engine runs best with 35 degrees total advance. So, with my MSD distributor, I have the 25 degree bushing installed along with ten degrees initial timing to give me that total of 35. Ten degrees initial puts less of a load on your starter (which you just might benefit from). I use the light silver and blue spring combination to achieve the following curve. Notice how the advance comes in. This works very well for me and has for many years. OK, you mean it leaks from where it sits on the "China Wall," or where it mates up to the heads, or where the carb/TP mounts to it up top, or what? Have you got some pics of your leak? Oil leak, or vacuum leak? What bush do you have in your distributor to get 21 and 36? Not MSD. Their black bushing is 18 degrees and that's the smallest one in the kit. Yes, I know 18 is their smallest. There is a 10 and 14 available on the net, we made a 12. Last edited by Gaz64; 03-18-2018 at 05:30 PM.. There ia a 10 and 14 available on the net, we made a 12. I wish I had a "magic bullet" for intake installations to keep them from leaking but, alas, I do not. If you just can't, can't, can't get it installed without it leaking, and it didn't leak before you removed it, then I would start to suspect something is warped or cracked or the like. One thing i noticed about setting the idle with the secondary stop screw is that if you open the secondaries too much the motor tends to come off the throttle slowly (running on the secondaries?). On my motor if i set the transition slot square its way too MUCH throttle...Think mine are pretty much covered at idle if i try to balance both ends...My secondaries are tight as frog lips at idle with the primary just cracked. No vacuum leaks, Walker PCV valve set for low vacuum. If you were topping a 460 with an Edelbrock Torker II I could help: the manifold was made incorrectly in the area around the distributor at the front. The fix was to form a 1/8" wide piece of aluminum and adhere it to the front of the manifold with some diesel sealant. After that cured, installation was successful and no more leaks. Takeaway: dry check the manifold's fore-aft position and assure the ledge on the manifold actually sits directly above the china wall, and not behind it, so as to contain the sealant bead effectively. Oh, and Edelbrock says "their manifold is not at fault," of course. One thing with a Holley or other 4160/4150 Holley style carb, QFT AED etc, is to check that the primary to secondary link does not jam in the slot as you open the primaries slowly off idle (engine off). This needs to be checked after final hot idle speed has been set. This is assuming that near equal airflow is occuring around all four throttle blades at idle, especially for 4 corner idle carbs. Some aftermarket throttle bodies have their transition slots too high up the bore. Alright, here are my tips for you, or anyone else that's reading this, to do this "fix" both with the carb on the engine, and with it off. 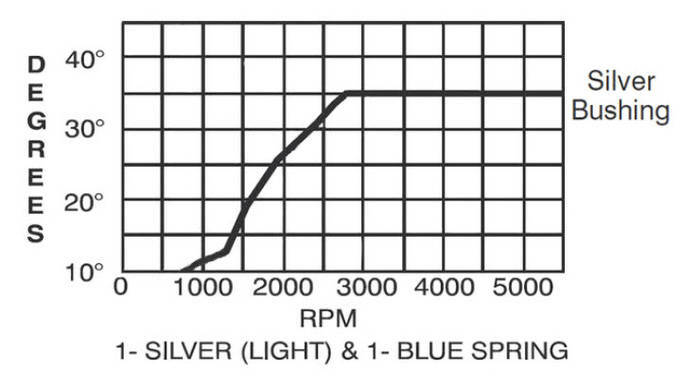 Now remember, the goal here is to have your primary throttle blades set properly with regard to the transition slot, and your primary fuel/air mixture screws set properly so that your idle quality is nice at all under hood temperatures and so that your "light throttle" cruising has no lean surging. The idle RPM level will be set by the new secondary screw that you will be installing. The problem that you are trying to correct is that the density of the air that is going through the carb is WAY different when it is really, really hot as opposed to when in it nice and cool. Unfortunately, your carb only gets one single setting. Computer controlled fuel injection it ain't. First, buy four 10-32 cap screws, a 3/4", a 1", a 1 1/4", and a 1 1/2". Then figure out which one of those four screws will be the most convenient to access with an Allen wrench once it is mounted to the same depth as the existing screw. Depending on your manifold and Turkey Pan combination, you might find that drilling an access hole in the Turkey Pan, that allows either a longer screw to poke through, or for the Allen wrench to come up through. Choose the screw that makes it easiest for you to get to, as you will be making slight idle adjustments once or twice a year, based mostly on the seasons. Inserting this screw can be done with the carb on the engine or off, but it is obviously easier to do with the carb off the engine. Insert your new screw with the same number of threads protruding up that the old screw had. If the carb is off the car, flip it over and adjust the primary butterflies so that there is a "square" or less of the transition slot exposed. If the carb is on the engine, and you don't want to pull it off, then back the idle screw off on the driver's side until you see a "visible opening" between the screw and the idle lever. Then, place a pencil, eraser side down, in to the primary side of your carb so the eraser is sitting on the butterfly valve. Put a sticky tab on the point end of the pencil. Then slowly tighten up the idle screw until you see the pencil and sticky tab start to move (meaning you are now opening the primaries). Give it another 1/4 or half turn, but no more. Now lightly seat both idle mixture screws and back them out 3/4 of a turn. Start the car and adjust the idle level by turning your newly installed secondary screw. Once you have a decent idle, take the car for a nice gentle drive where you see how she cruises at, say, 40 MPH, with your foot just ever so slightly giving gas. You should experience "surging" because of the lean mixture. Back each idle mixture screw out 1/8 of a turn and do it again until you have a nice clean, even engine performance with no surging when she is cruising with your foot just lightly on the throttle. If your idle is too high, back your new secondary screw out a bit, if it's too low, screw it in a bit. You may also turn your regular idle screw in a bit. BUT NOT MUCH -- remember, we don't want to go in to the transition slot. Less is more in that regard. If you have "ham hands" you can visually see how much you're adjusting the new secondary screw by placing a clothes pin with a stick attached to it on the driver's side secondary throttle shaft. As you tighten the secondary screw in, while standing on the passenger side of the car, you will see the stick move clockwise. When you loosen it, it will move counterclockwise. It doesn't take much of a turn to that new screw to make significant changes to your idle. For a big FE, with a Holley 4160 on it, and an engine compartment that gets pretty darn hot, this is absolutely the best way to get your carb set perfectly. I do not see the pic you mention in your 3rd paragraph? Here are two pics that seem to vanish from time to time.